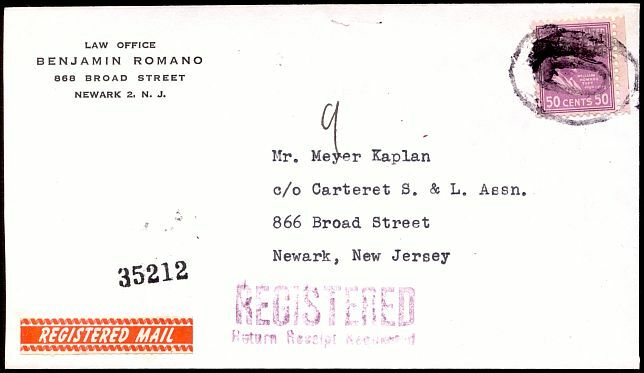 A registered letter with return receipt requested cost fifty cents from January 1, 1952 until July 1, 1957. The breakdown is three cents for postage, forty cents for minimum registry and seven cents for return receipt. This letter was sent registered, return receipt requested, within Newark in 1956. There was no drop rate for carrier cities at that time, so three cents postage was required.